It’s never been easier (or more affordable) to begin the lifelong journey of entrepreneurship than today. To get started all you need is a perfect online presence which you can get here. Your website is your biggest asset (or liability) in your business' evolution. The best strategy of all is to keep your Audience engaged. Your website is your front face, pitch perfect through it. And always remember, there is no single formula for achieving results, the same strategy may yield different results for different businesses. But the one that applies for any business is to develop relationships with customers, connect with communities of interest. And most of all don’t forget the golden words”Do not deliver a product, deliver an experience”. Finding industry Leaders, connect with them, they are the knowledgeable voice to who people listen and respond. They can provide insights, recommendation, introductions, and opportunities. Make proper use of it. Make them fall in love with your business. 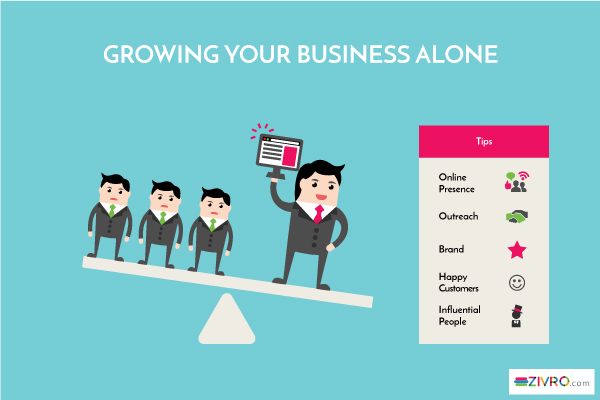 Nurture relationships with your customers, this can help you scale positive word of mouth that’s absolutely priceless. Prepare a customer-focused culture. Treat them right, Hear what they are saying, offer support, treat them like a valued partner, Be transparent. Build stand out Brand identity, these are the visual elements of your business. It can be your Business name, icon, logo, font. Get into the competition. Make a lasting impression. Take a break, you deserve it!! !